Adam has many years of experience in the internet industry, having worked with companies large and small. In his position as Chief Technical Officer he provides Newhall Interactive with the in-depth knowledge needed to produce high-quality technology products. His knowledge of technology spans the fields of web development, social media, and the emerging mobile market. He is an active and accomplished member of the open source project, Drupal. 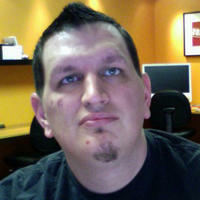 He has contributed many modules to the Drupal community and continues to give back every day. Prior to going into the internet industry Adam was jumping out of planes and blowing stuff up in the service of his country as an Airborne Infantryman. During his service in Iraq he was awarded a Bronze Star for heroism. Some of his story was told in the best selling book, Thunder Run by David Zuchinno (editor of Blackhawk Down). Adam currently lives in Valencia with his wife and six kids. He spends his free time being run ragged by his crew and trying to keep up with family schedule. He enjoys coaching his kids sports teams, watching football (Fight On SC! ), and playing volleyball when he can find the time.